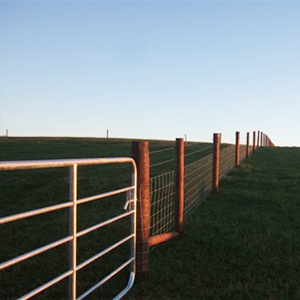 FRS offers a complete Repair & Maintenance service, which is extremely important in the case of Agricultural & Equestrian fencing for animal and public safety. 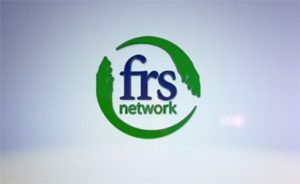 FRS have an expert eye for faults and potential weaknesses and can complete repairs efficiently on the spot. 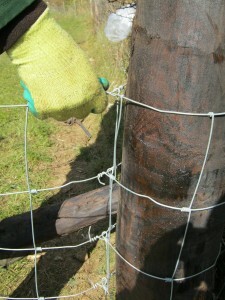 Just call FRS Fencing today for a quote on a ‘fence health check’. 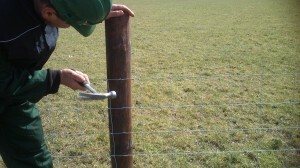 Whether it’s sheep, barbed or electric fencing you have, the posts and wire need to be checked on a regular basis. 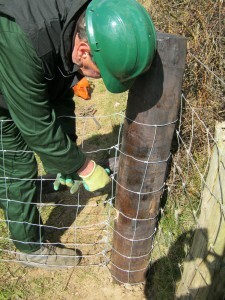 Fencing posts are susceptible to rotting at ground level and should be assessed. 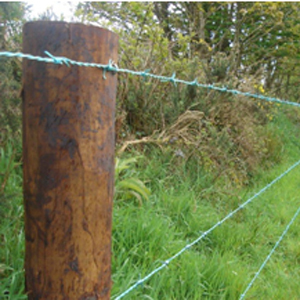 FRS supply both Tanalised and Creosote treated posts, which are high quality materials and we recommend creosote posts for a longer life job, especially the strainer post as this is the anchor for your full fencing system. Check the tension of the wire in your fence. Good quality high tensile wire will keep its tension much better than mild steel wire. Loose wire in a fence can be dangerous as an animal may get caught up in it or get through it and in effect the fence is no longer doing the job it is intended to do. There are many inferior types of wire on the market these days and to an untrained eye it can be hard to tell the difference between good and poor wire by just looking at it. Always buy a wire with a label attached and check the label to see if it is manufactured and galvanised to British or Irish standard, thus ensuring a quality long life product. 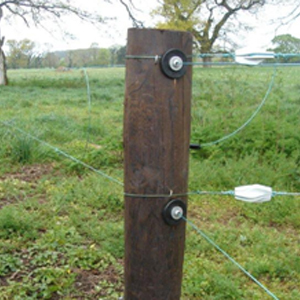 For electric fencing a wire of 2.5mm diameter will give good connectivity. If you use lighter wires, electrified tapes, or polywires this greatly restricts the length the current will travel and the effectiveness of the fence. Tapes and polywire may be used for short temporary runs. 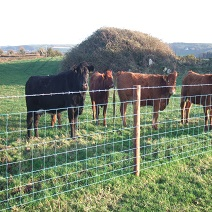 Electric fencing is an effective all round fence to keep cows, cattle and even sheep secure. 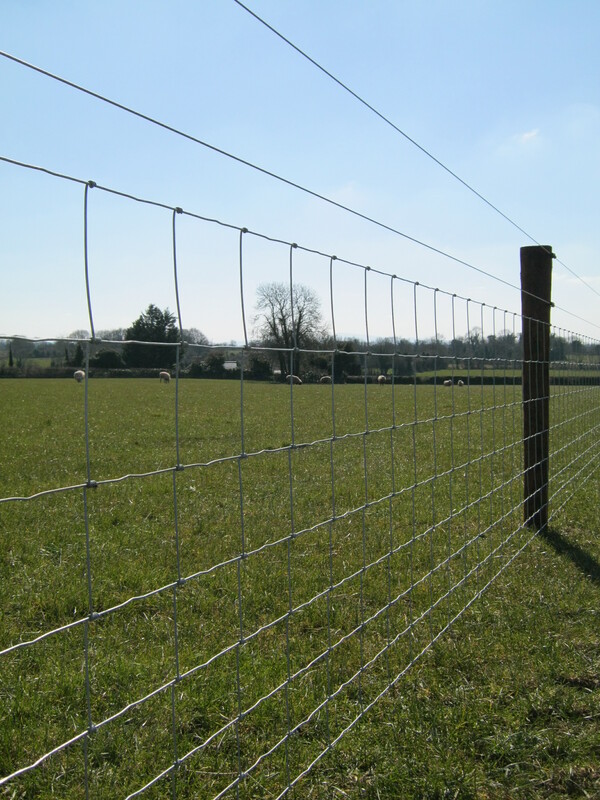 It works out cheaper than sheep or barbed wire fencing, but requires regular checking to ensure there is sufficient power on the fence wire at all times. The appropriate voltage on a new, well insulated fence should be at least 4,500 to 5,000 volts. 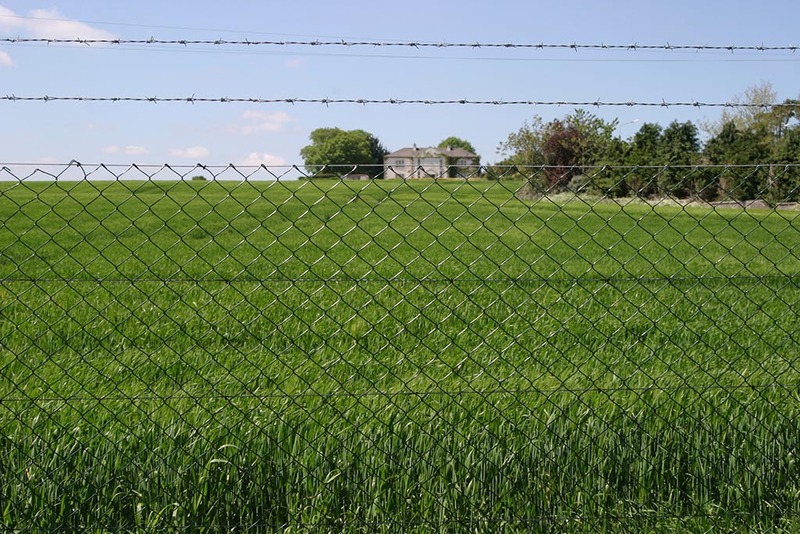 Often, old or poorly maintained electric fencing lines have readings below the required voltage and should be upgraded. Most electric fencers give out, as standard, about 5,000 to 7,000 volts. The difference in the fencers is the distance that they are able to drive the shock along the fence line. Therefore, a larger fencer is needed the more miles of wire you have to power. FRS are knowledgeable on specific fencer requirements. Without an earthing system for the fencer there would be no shock on the wire. 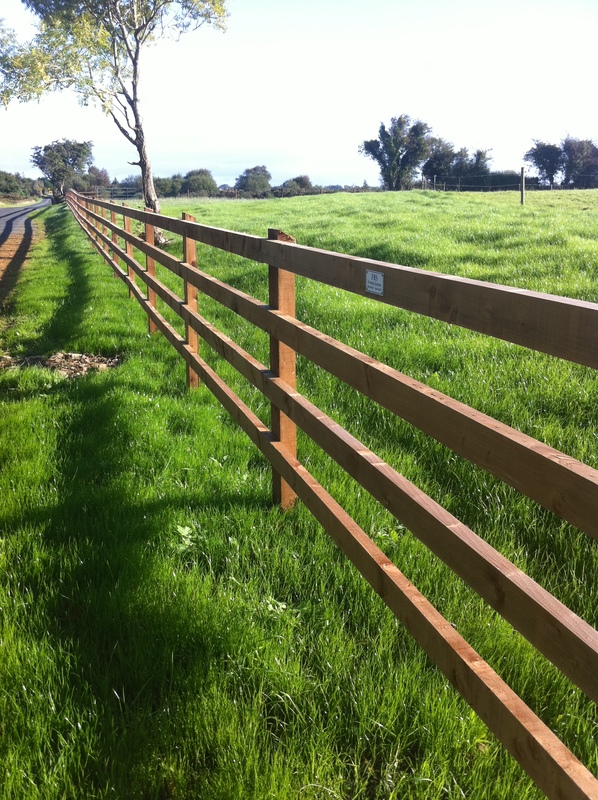 When installing underground or leadout cable from the fencer never use standard copper wire on your fence. Corrosion takes place where copper and steel wires are joined, which hinders the current flow. The role of insulators is to insulate the live wire from earth. 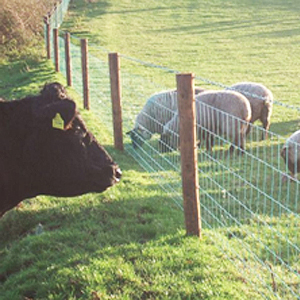 With the high voltages, that are typical of an electric fence, it is important to minimise any leakage of current due to poor quality insulation. FRS Fencing supply top quality cables and insulation which are guaranteed for a minimum of 10 years. 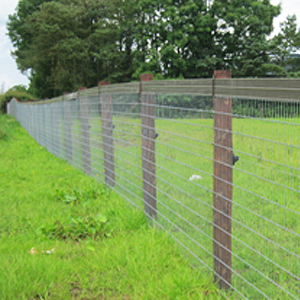 FRS stock a wide range of products for testing the power in your fence. We also have fault finders which help speed up locating a fault. By placing the fault finder on the electric wire while the fence is powered on, an arrow will appear on the screen pointing you in the direction of the fault. You continue along the fence until the fault is located.